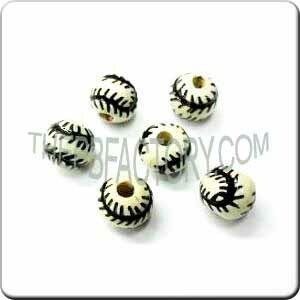 Ceramic Soccer ball / Football with Shoe, glazed in Black & White color with a 2 mm hole. Sold 25 units per package. 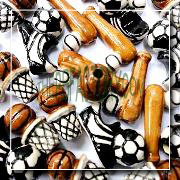 The piece size is as followed: Height of the piece is 14 mm. Shoe length is 20 mm. 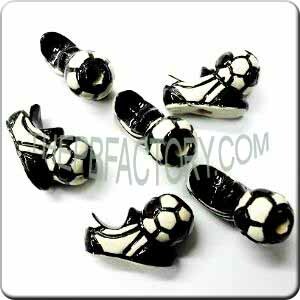 Width of the shoe is 8 mm. Width of the ball is 10 mm.